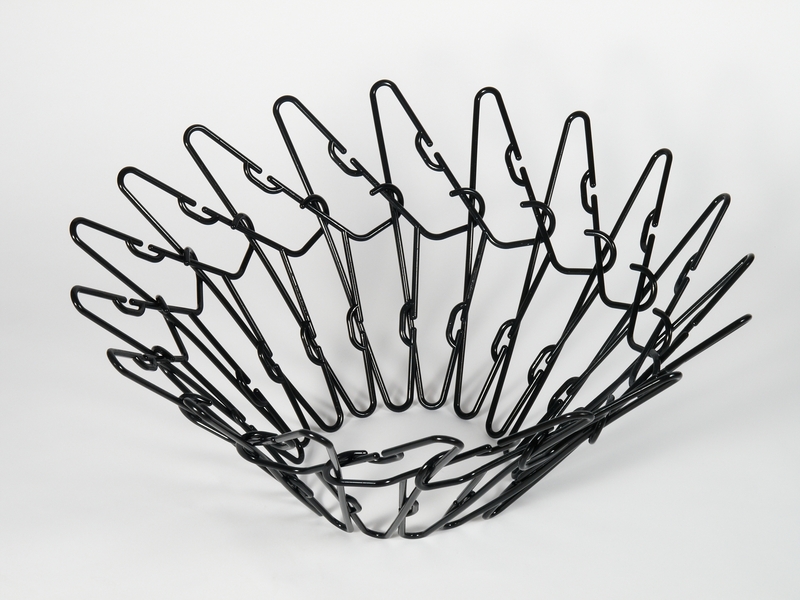 This bowl is made from coathangers woven together and simply held together in tension. It plays with the ideas of form, function and the reassignment of ‘readymade’ objects. The pure form and inherent tensile strength of the coathangers are subtly manipulated while still retaining their original form. The bowl can be deconstructed and the coathnagers can continue in their original form. The bowl itself, with little real function, questions the ongoing need to create more and more new products, which more often than not, are distinguished by a mere aesthetic nuance. With so much already made and designed, the dilemma for the twenty-first century designer, living in a world of diminishing resources, is: Do I really need to make this? 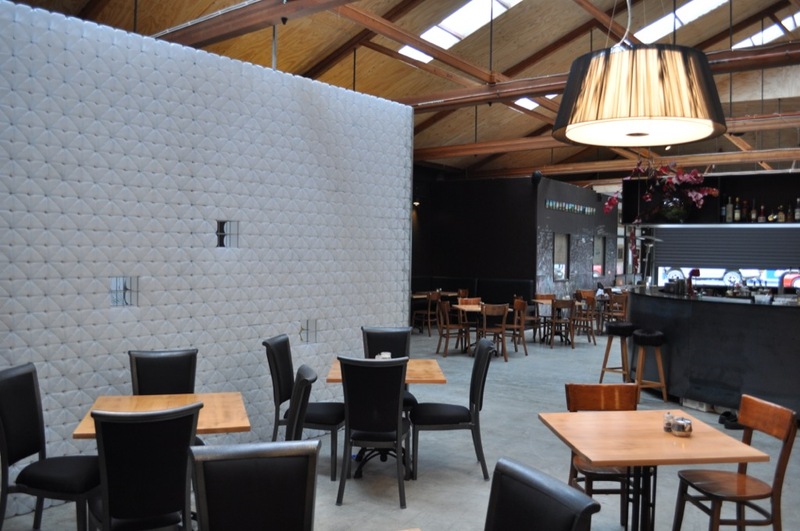 This is a wall made from over 2000 milk bottles at the Westend Pumphouse cafe/restaurant in Hobart. The milk bottles were sourced from the Pumphouse’s own use, and accounts for around ten weeks consumption.